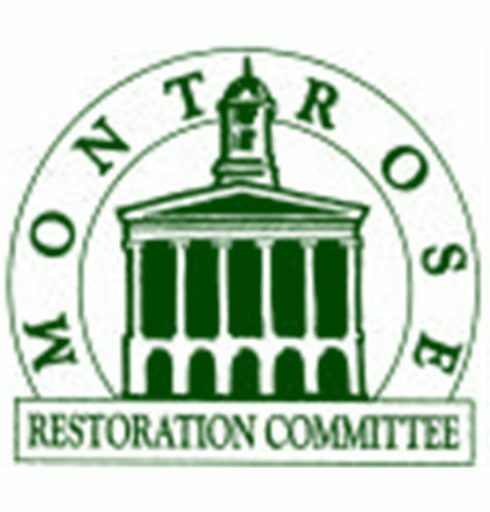 Hillori L. Schenker is a newcomer to Montrose and the Montrose Restoration Committee. She has a background in architectural history and degrees in historic preservation and history. Because of the town’s history and heritage, she and her husband fell in love with the town and moved north from the Washington, D.C. Metro Area. Hillori teaches social studies at the Montrose Area School District. In her spare time, she volunteers with the Susquehanna County Historical Society, works on her rehabilitated home, and travels with her husband.